Welcome back to this special edition of 2-Bullet Tuesday, where we’ll share useful tips and awesome stuff sent in by Omega2 users all around the world. Check out creative projects and tutorials that will supercharge your IoT development! We are proud to announce the latest addition to the Omega2 family, the RFID & NFC Expansion. This Expansion brings contact-less RFID and NFC communication to the Omega ecosystem. It supports reading and writing with several NFC and RFID protocols at 13.56 MHz. The Expansion is based on the popular PN532 NFC Chip and communicates with the Omega serially via UART1. We’ll guide you through the installation process and the hardware setup. Then we’ll jump into reading and writing to the included Mifare Ultralight RFID Tag. These programs can be accessed from the command line and you can use them to control your RFID/NFC Expansion. You can also see the usage of those programs by running them with just a -h argument. Today, we’ll guide you through using these commands to work with the included Mifare Ultralight tags! The RFID & NFC Expansion features a 13.56 MHz stripline antenna and an Expansion Header, so other expansions are stackable on top. In order to use it, plug the Expansion into a Dock that has Expansion Header pins (Expansion Dock, Power Dock 2, Arduino Dock R2) and you are all set to go! Please note: During the boot process, the Expansion draws a lot of current. We recommend connecting it to a Dock while the Omega is powered off. If the Omega is powered on, the large current draw may cause the Omega to reboot. From the output, we can see that the UID consists of 7 Bytes. Since its a unique ID, we can use this to identify cards for access control systems or to trigger different actions. Here is comes, first row is called Manufacturer Block that consists of 16 Bytes of manufacturer data and other 3 blocks (next 3 rows) holds the programmable data. You can find more info about the Expansion Hardware and more details on Using the Expansion in our Documentation. And the Expansion is now available on the Onion Online Store as well as from our retailers! Now it’s your turn to make some awesome NFC and RFID projects! Get your RFID & NFC Expansion! We have another super special announcement for you this week: we would like to introduce you to the next generation evolution of the Console, the brand new OnionOS! 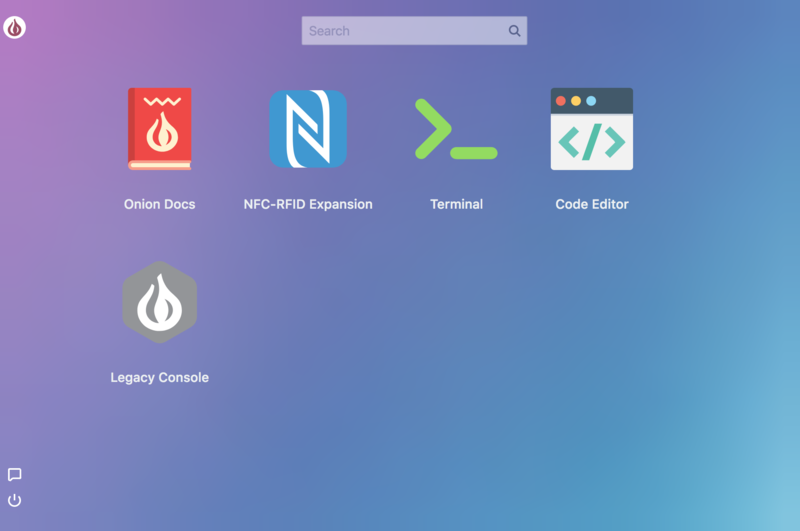 OnionOS is a web-based, graphical user interface for the Omega2 family, with a number of apps that can be used to configure and control your device. The OnionOS is hosted on your Omega and can be accessed from pointing a browser to the Omega’s webpage at: http://Omega-XXXX.local/ where the XXXX are the last four digits from the your Omega’s sticker. Note that you’ll need to be on the same network as your Omega to access the OnionOS. 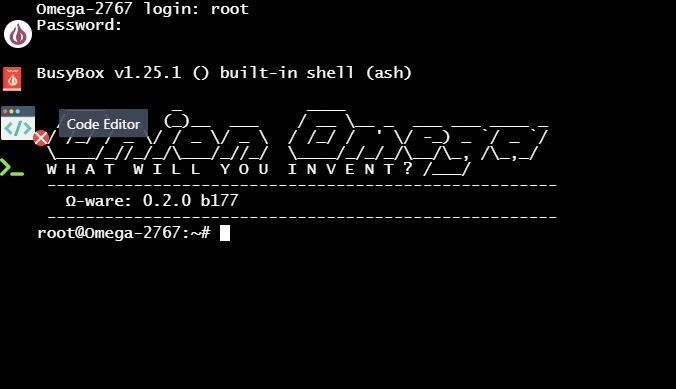 We’ll walk you some of the goodies and then through installing OnionOS on your own device! We really liked the Console, and know it was well liked in the community as well. We took everything that was good about the Console and built OnionOS from the ground-up! It’s lighter, faster, and best of all, flexible. By flexible, we mean that it’s very easy to create additional Apps. We’re still ironing out the CDK (Console Development Kit) and will open it up to our fans in the coming weeks. Navigation will feel familiar to longtime Omega users: open Apps will appear in the sidebar, you can switch between open Apps by clicking the sidebar App icon, and the home screen can be reached with a click of the Onion logo. A new addition is the ability to close Apps: hover over the sidebar App icon and click the small X icon that appears. Not everything from the Console is available for OnionOS just yet, so we’ve made the Console accessible with a single click! 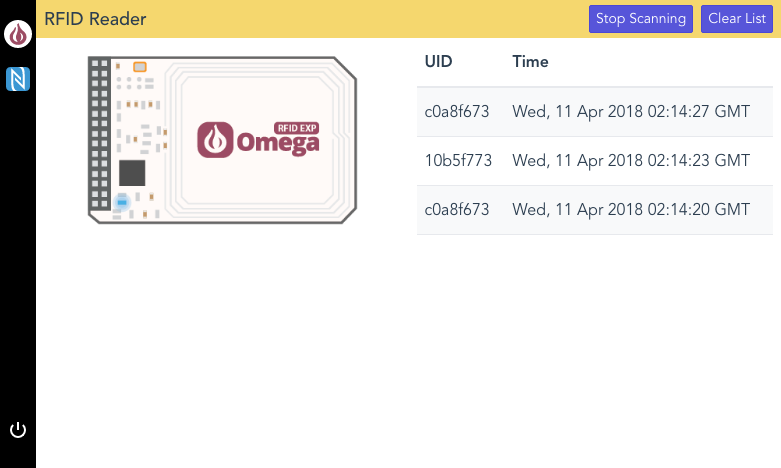 Once OnionOS is installed, point your browser to http://Omega-XXXX.local/ (where the XXXX are the last four digits from the your Omega’s sticker) and take a look around! 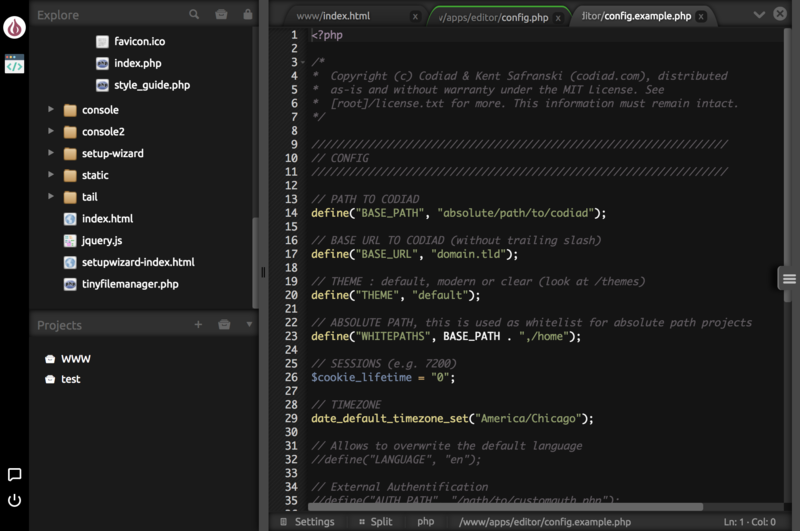 We strongly recommend trying out the Code Editor, using it alongside the Terminal App makes for a great development experience with your Omega. October 16, 2018: We’ve put out more updates for OnionOS that you don’t want to miss, read more here. Do make sure to let us know what you think and if you have any ideas on how we can make it even better!